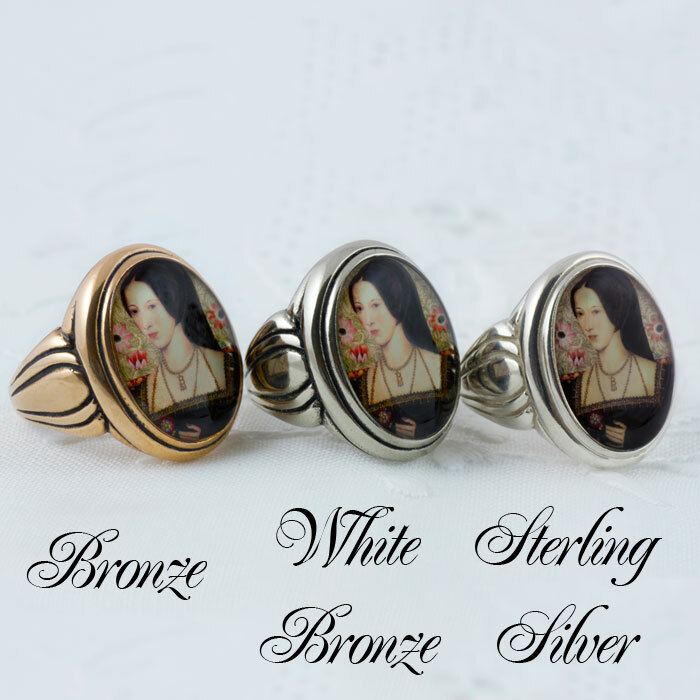 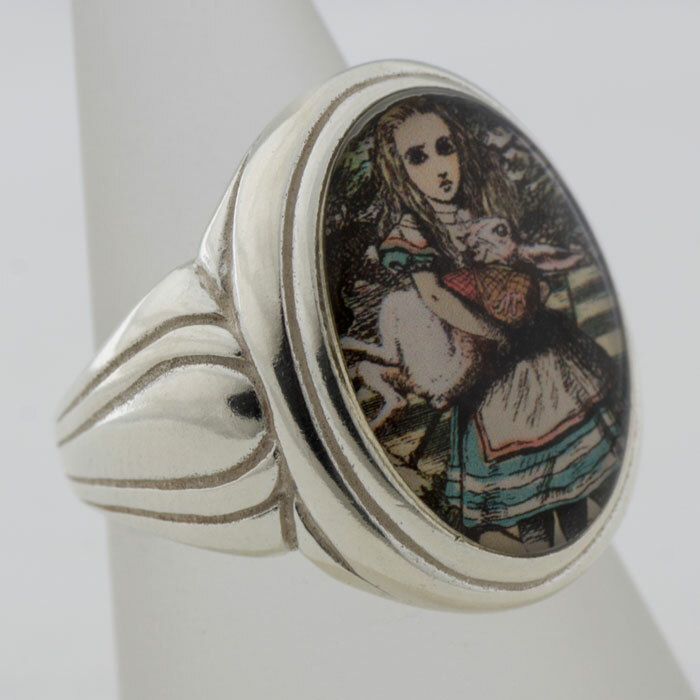 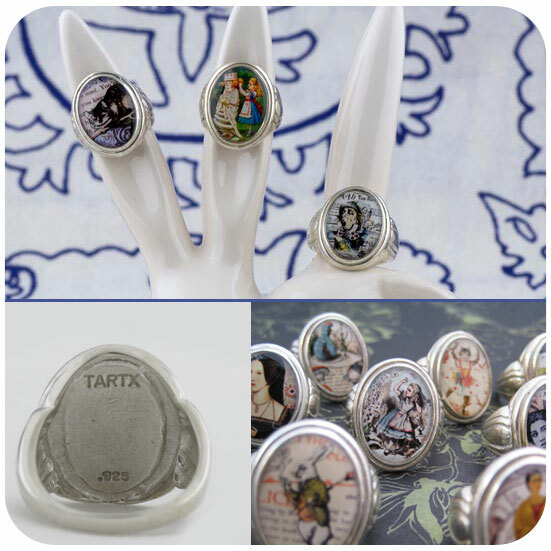 This elegant and collectible hand cast cameo style ring features a completely humorously reimagined vision of Alice Holding The White Rabbit. 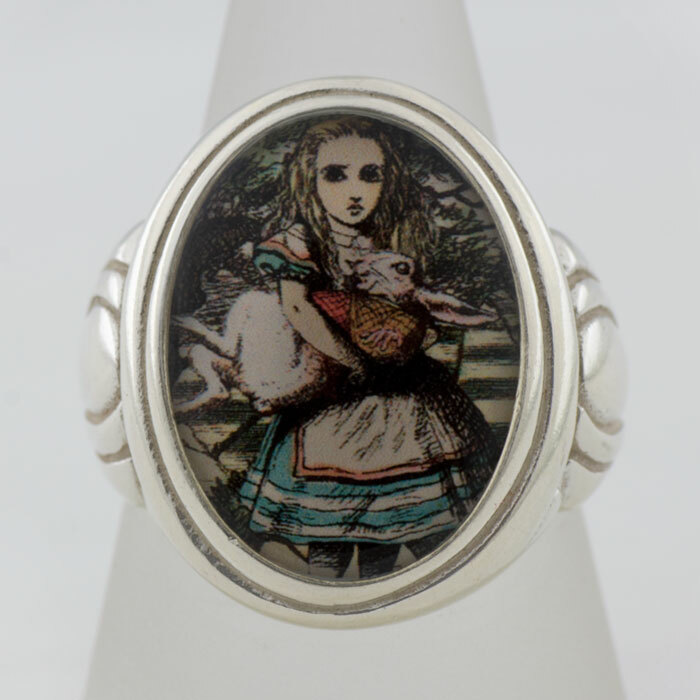 You'll find her holding cakes, bottles, pigs, even flamingos. This is the first time she's held The White Rabbit.